Here at Centurian Wildlife Control, we know exactly what you are going through when animals have invaded your home. As a local family owned and operated company, we know what it’s like to worry about the safety of our kids and pets. With the individual needs of every family hitting so close to home for us, we put an extreme emphasis on speed, efficiency and safety. We are here for you no matter if your problem is a dead animal stinking up your home, a skunk that’s fallen down a window well, squirrels dashing across your attic or you have a rat that is just too smart to trap. You will always be greeted by knowledgeable friendly voice on the other end of the line. 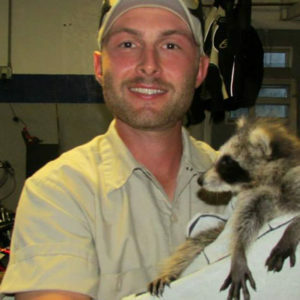 Are you completely fed up with nuisance raccoons, squirrels, Rats and Iguanas? Are you encountering bats flying in or around your house, putting your children’s health in risk with the dangers of rabies and histoplasmosis? 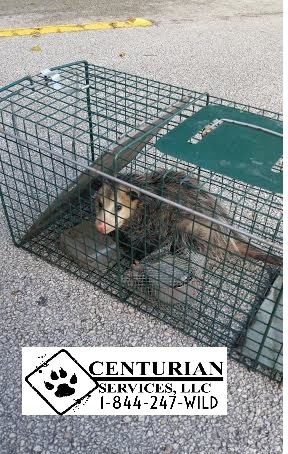 Nuisance wildlife can tear a home apart in a matter of days and when you have such a problem on your hands we are available 24/7 to put your life at ease. 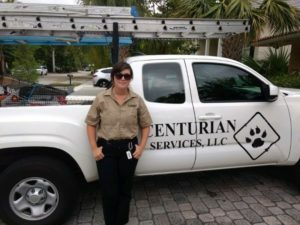 We offer services ranging from dead animal removal to attic clean out services and emergency Fort Lauderdale wildlife control. 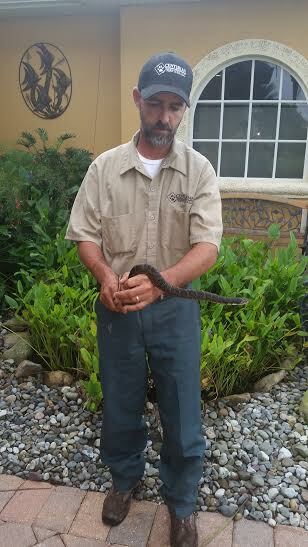 Have Iguanas moved onto your property creating unbearable smell? Iguanas can dig holes under decks and stoops creating huge amounts of debris and gravel along with the unbearable odors that they produce. They also will destroy your lawn if they are looking for grubs. They can eat all of your shrubs, hibiscus and beautiful landscape! Nuisance squirrels can be a real headache too. Squirrels reproduce 2 litters of young annually causing complete havoc in homes if left unattended. It is not difficult for squirrels to enter the attic right through factory made attic fans or vents since they are not animal proof, which makes entry very easy for problematic animals. 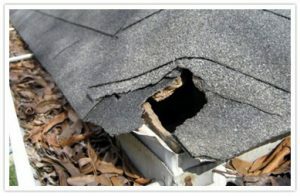 Birds can also cause a lot of difficulties if they decide to make nests in your attic, this nesting can create a large amount of damage to attic insulation and create unpleasant smells along with bird mites. Fort Lauderdale boasts 23 miles of sandy beaches and is known to be the western corner of the Bermuda Triangle. Fort Lauderdale is home to over 100 marinas, 300 miles of inland canals and has over 50,000 registered yachts. The subtropical marine climate makes the area one of the top vacation destinations in the U.S. Over 70 artificial reefs lie off the coast of Fort Lauderdale, making this location an excellent destination for scuba divers and snorkelers. Did you know there is a whole other side to Fort Lauderdale than the 24 hour night life? We all know about the amazing restaurants, endless nightlife options, expensive homes, and amazing hotels, but did you know about the vast wildlife options? The Flamingo Gardens is about 20 miles west of Ft. Lauderdale and offers 60 acres of beautiful botanical gardens as well as a wildlife sanctuary. 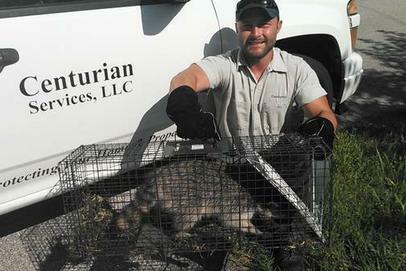 There you can find wildlife native to Florida like alligators, bobcats, eagles, otters, panthers, and more. What would a trip to Florida be without an airboat ride to get up close and personal with wildlife in its natural habitat. Take a 30-minute tour on the Everglades to see what you can find! What happens though when one of these animals finds a home outside of where they belong? Like in your attic or garage? That’s where we can help you! We are a humane company that puts wildlife back where they belong. In the wild! 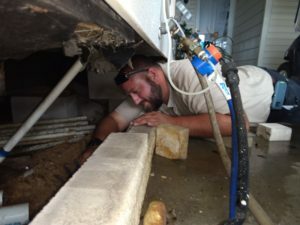 Are Nuisance Raccoons tearing up your attic and making disturbing noises at night? Raccoons in the house are a serious trouble. 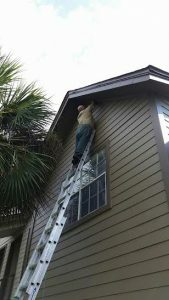 They can dig into the attic through your roof in less than an hour, which in turn can cause serious water damage to your home and attic insulation. The trouble doesn’t end there either, if a raccoon gets inside, your insulation will be destroyed in a matter of days just from them trailing back and forth. In addition to this, Raccoon Poop is toxic as well as containing parasites called raccoon roundworm which can potentially be fatal. We have professional experts who know exactly how to deal with these issues safely, have your animal damages repaired and back to normal. We provide guaranteed raccoon exclusion services to ensuring raccoons can no longer take advantage of old entry points. 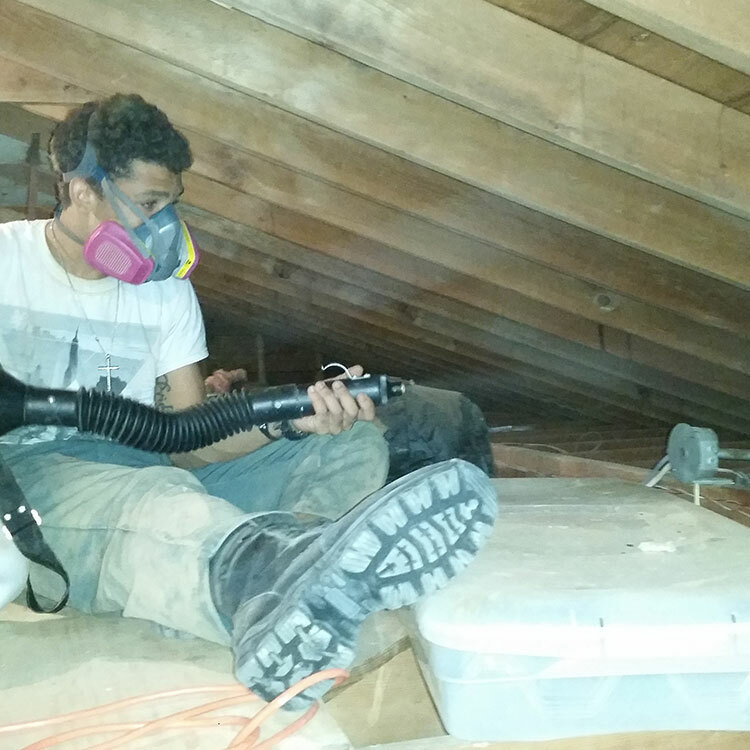 For the attic damage, our staff handles the complete clean up and restoration from start to finish. Do you see bats flying around your gutters, soffits, vents or roof line? Or even worse have they moved into your attic? Does your house or attic smell of ammonia? There are specific signs of bats making a home inside of your attic including strong ammonia odor due to urine and guano build up, visible guano in the attic or stuck around entry points and of course random bats making their way into the living quarters of your house. We offer our Professional Animal Control & Wildilfe Removal Services for Fort Lauderdale Florida to provide you with efficient bat control, guano removal and exclusion services. According to federal law bats can only be removed during a time of the year, so please be aware of attempting to rid bats yourself without knowing the federal laws protecting them. After our bat exclusion service is completed, we then proceed with restoration and clean out of your damaged attic insulation.